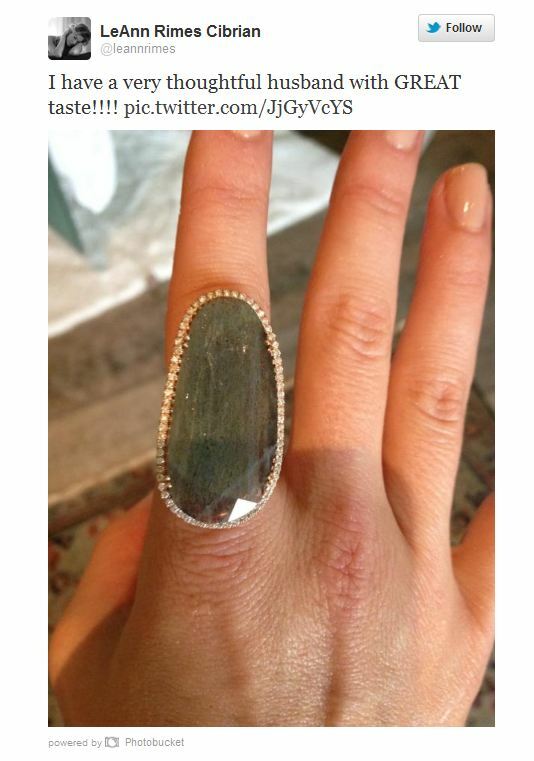 Yesterday LeAnn Rimes tweeted a picture of her One-Year-Anniversary ring. (Yes, that’s a thing…) I have to say, it is a great piece of jewelry and something I’d be happy to rock myself. It’s the perfect mix of glitz and glam and hippie chick. It is perfect for a rock star. What if you want the same look, for less? This entry was posted in Accessories, Her Closet, Jewelry and tagged celebrity jewelry for less, large stone rings, LeAnn Rimes, LeAnn Rimes anniversary ring, LeAnn Rimes rings. Bookmark the permalink.